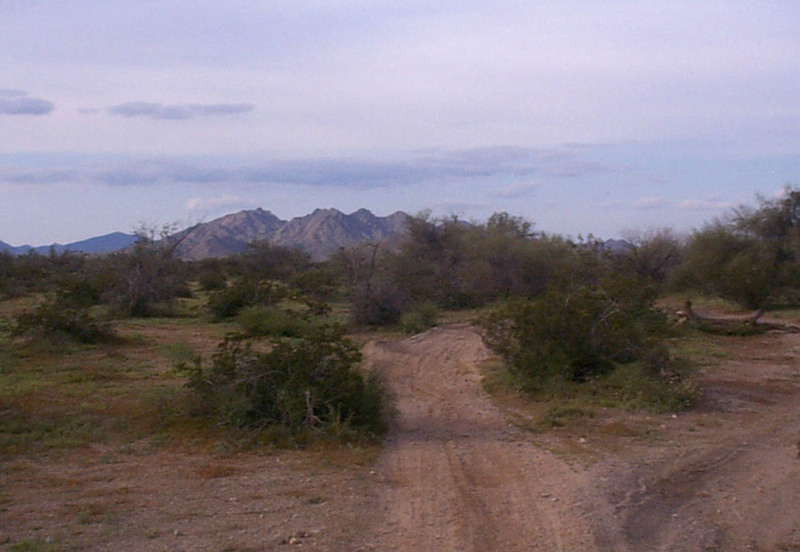 There is one little town set in the middle of the desert that wouldn’t appear to be a hotspot of UFO and even Bigfoot activity, but Gila Bend can brag that it is. Founded in 1872 and located in Maricopa County, Arizona, Gila Bend gets its name from the 90 degree bend found in the Gila River at the point where the town is established. 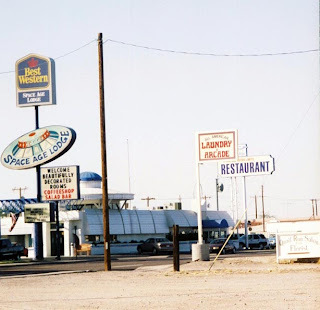 With a population of about 2,055 people living in this town, it is the roadside attractions, Spaced Age Lodge and unusual theme of the place that seems to keep the tourist and enthusiasts coming along with the UFO hunters. Gila Bend is a popular place for many UFO sightings. There have been numerous reports of strange objects and lights in the sky which have been hard to explain. Among the quirky roadside attractions and the space age café are many mysterious graves. No one is sure who is buried in most of them, but they seem to be all over the town. Another reported sighting that you would never equate with a desert town is that of the elusive Bigfoot. 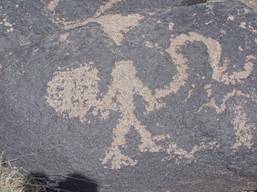 On some of the rocks in the middle of the desert, picture graphs have been found with drawings indicating a large hairy creature was seen in that area. Others have their own eerie stories of encounters with the beast. Sharon (Autumnforest, Ghost Hunting Theories ) and I are taking another one of our daytrips, this time to Gila Bend. On our way are the abandoned trailer park and the burnt down house we found. By the way Max Evel, we are giving you a days notice to clean up the park for your visitors. I am confident that you can get it done. Anyhow, I will be taking lots of photos of the trip while Sharon will be documenting the trip on her flip camera. Look for both of us to do one or more posts on the trip depending on how much information we collect. I'm bummed out, Ms. Julie, because Autumnforest says she's not taking me along with you two. I think it's cause I'm getting into lots of trouble, but I can't help myself. She even introduced my two doll-friends to each other and they didn't know I was seeing both of them at the same time. I'm a bad boy. That place is freaky central. I can't wait. Plus, I can't wait to get away from Dale for a while! Sorry Dale but we can't have you running amok in Gila Bend and getting us in trouble. Autumn, I can't blame you since he has been a rambunctious little doll lately. I can't wait for you to show me all the cool places and photo opts.